Summer is a great time to hang out in the cool evening weather and snack on great healthy treats! 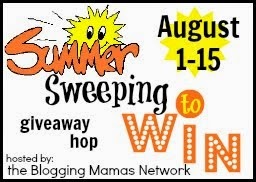 Check out this Yummy Giveaway! Be sure to check out the Giveaway links for extra entries when commenting on my review post of these great snacks!